“Clint Walker died on Monday in Grass Valley, CA. He was 90. His death, at a hospital, was confirmed by his daughter, Valerie Walker, who said the cause was congestive heart failure. Mr. Walker appeared in the ‘The Dirty Dozen’ and other movies, but he was best known for ‘Cheyenne,’ seen on ABC from 1955 to 1963. ‘Cheyenne’ was among the first television series produced by Warner Bros., and it had the lavish look of a big-screen movie. As shooting of the show’s first season began, Mr. Walker confessed to the crew that he did not have a great deal of experience on horseback. He later recalled the response: ‘You’ll either be a good rider, or a dead one.’ ‘There were a few times I wondered which one it was going to be,’ he said. In ‘The Dirty Dozen,’ released in 1967, he played the meek Samson Posey alongside a crew of hardened military convicts — played by Jim Brown, Charles Bronson, Donald Sutherland and others — who were recruited for an assassination mission behind German lines during World War II. 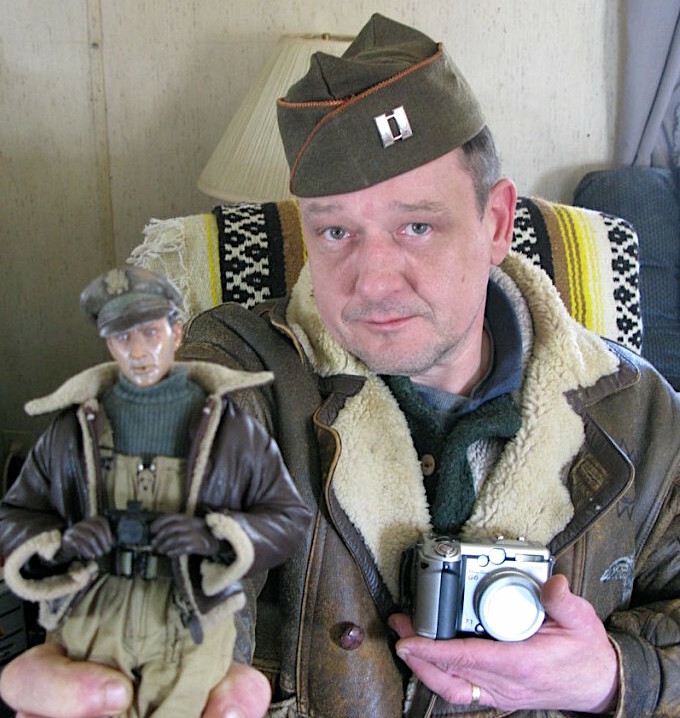 His last film was Joe Dante’s ‘Small Soldiers’ (1998), about high-tech toy soldiers that go on a rampage, in which he had a voice role along with some of his ‘Dirty Dozen’ co-stars. Bottom Line: Rest in Peace, Mr. Walker. Happy Trails, Cheyenne. We will miss you! Been There, Done That— Larian’s concept of converting old Toys ‘R’ Us stores into “Mini-Disneylands” has already been tried—and failed. 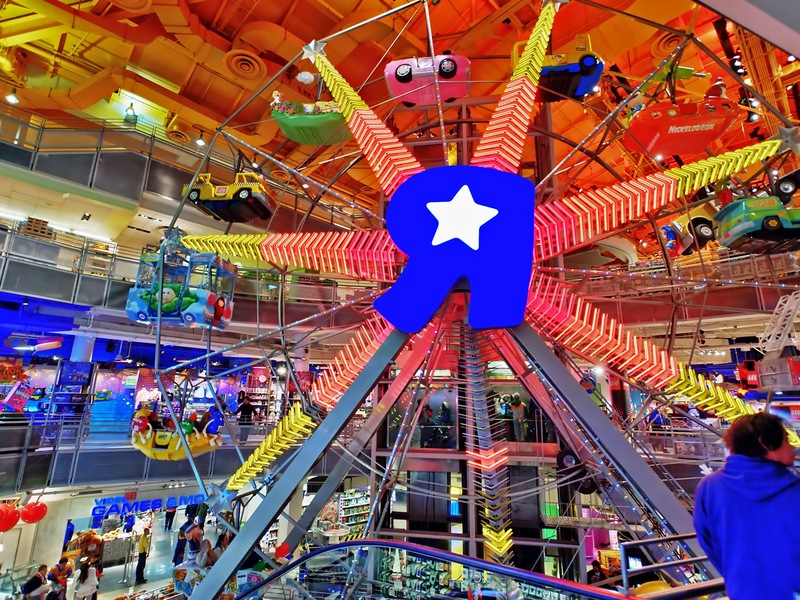 This one, the chain’s flagship store in New York City’s bustling Times Square district, was big enough to fit a ferris wheel inside! Guess what? Yup. It’s closed now. If this mega-store concept didn’t work in Times Square, with all of its never-ending foot traffic, how could it succeed elsewhere? How much do you think they’d have to mark-up TRU toys to pay for all of this? Perhaps Larian should give his ambitious plan a teeny bit more thought. (Photo: tripadvisor) Click to enlarge. Can You See Them NOW?— Before closing, the TRU flagship store in NYC also had the added benefit of a giant, wraparound video marquee. Can you imagine something like this surrounding Larian’s proposed 280 “mini-Disneylands” in the U.S. and Canada? Would such a monumental investment in time, material, and CASH really be worth it? Or is the lure and ease of “one-click” and “add to cart” online shopping simply too powerful for “brick-n-mortar” retailers to overcome? (Photo: tripadvisor) Click to enlarge. Welcome to Barbie Town— You’ve heard of the famous (also now gone) “Barbie Aisle,” right? Well, how about an entire Barbie TOWN? This amazing retail display was also in the NYC TRU store before it closed. Imagine a similar structure built by Hasbro called the “GIjOE PX” or something like that, full of Joes, Jeeps, equipment sets and more. Hey, we can dream, can’t we? (Photo: tripadvisor) Click to enlarge. Bottom Line: This is all so FASCINATING. And hopeful. And exciting! But will ANY of it actually come to pass? Will Larian’s offer be accepted? Will he really spend even MORE of his own money to convert a bunch of aging Toys ‘R’ Us stores into 280 “mini-Disneylands?” It’s been tried in major cities already, and sadly, it’s failed. To be honest then, its doubtful much will come of this new development. But don’t lose hope, dear readers. We’ll keep you updated as this ever-changing, high-stakes, and “quixotic” tale of money, family, and TOYS continues to unfold. Stay tuned! The news that Toys “R” Us is closing might conjure up wistful childhood memories for shoppers. But for the chain’s 31,000 U.S. employees, it means they’re out of a job. Mass layoffs are usually softened with a severance package, but Toys “R” Us employees won’t get any because of bankruptcy laws. They will get benefits such as health insurance and matching 401(k) payments from the company. Workers were promised 60 days pay, which is required under federal law, and they’ll receive that pay even if they don’t work the full two months. Traditional retailers are on the ropes, with a record 7,000 stores closing last year, according to Coresight Research. That’s more than triple the number of closings in 2016.